We seldom see and often miss the greatness of our Church. 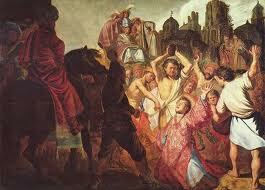 It's all to easy so see the sinful nature of ourselves and see that as our Church. But that picture is just wrong, we should see the great work passed on to us by the Apostles, the early Christian’s, the shepherds who have over every generation built our Church into God's saving victory, Christ's Body, an eternal and wonderful movement. We are part of that, we should be proud. I have two recommendations for your spiritual reading over the next couple of weeks. Neither is that long and both are wonderful insightful books. The first is the book of Acts, you can read it cover to cover in a few hours, it's the 5th book in your Bibles New Testament and is written by Luke as a second volume to his Gospel. It tells the story of the church in it's first days, months and years. We know many of the stories from Acts from our Sunday liturgy, but you lose the big picture sometime if you don't read the book as it was written. Please, pick it up and read it, you will, I promise, be amazed by the story of faith and love found in those pages. 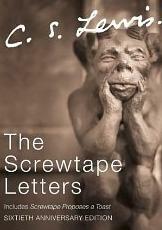 My second recommendation is the book that prompted this post, The Screwtape Letters by CS Lewis. It's great fun, but really insightful. It was really helpful to me in my early days as a Christian. It helps us understand the Theology played out on a personal and eternal scale. Please, if you do take me up on these recommendation let me know how you get on. New Awakenings - £1,000,000 or something better? Mission Monday - Did you receive the Holy Spirit?